How do you make the perfect latke? 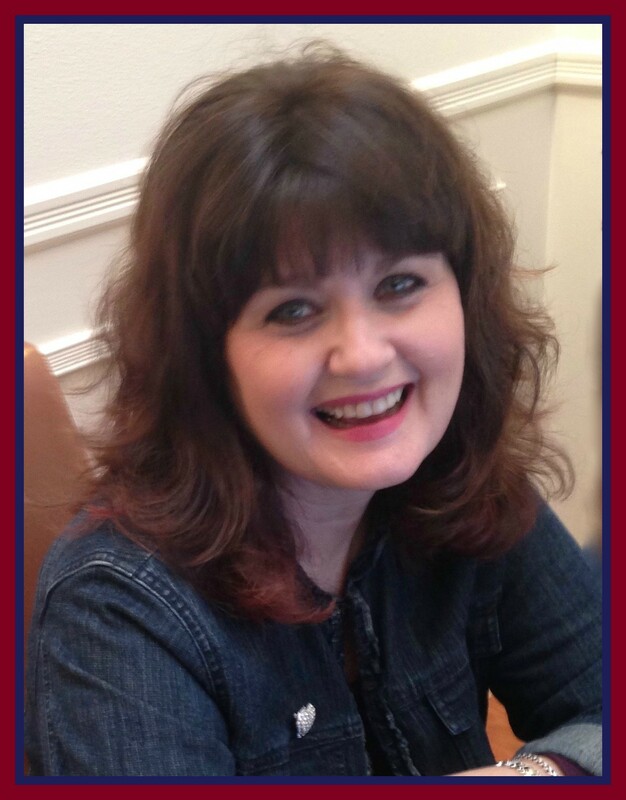 I’m so happy to introduce Lauren Ranalli, the author of The Great Latke Cook Off. We all have unique ways of celebrating traditional holidays. 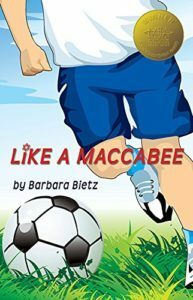 Lauren’s new book is a fun, multi-generational story about competing for the best latke recipe. You just may start your own latke competition this Hanukkah! My husband and I are an interfaith couple. My family is Jewish and his is Catholic. Our oldest child has a December birthday and back when he was born in 2011 we received several lovely Christmas books as gifts. In an attempt to create a little more balance on our bookshelf I went looking for Chanukah books. books. I found that most of what’s out there falls into two ends of a spectrum. On one side you have “Elmo Celebrates Chanukah”, and on the other side you have “A History of Chanukah and the Maccabees”, neither of which really resonated with me and my own family traditions and cultural experience (no offense to Elmo or the Maccabees). I was reminded of a quote from children’s book author Beverly Cleary: “If you don’t see the book you want on the shelf, write it”. So in my sleep-deprived state that is what I decided to do. I typed up the story of “The Great Latke Cook Off” in one sitting and sent it to myself as an email. And then I sat on it for about 5 years. 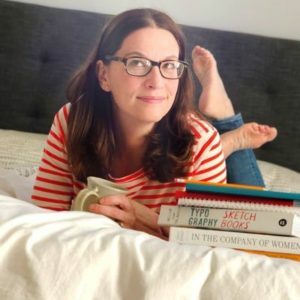 I was a new mom with a full-time job and I had absolutely no idea where to even look to get a book published. Then at the start of 2018 I was really feeling the need for a creative outlet. My kids are now 6 and 4 and I felt like I might have some capacity to take a stab about putting my book out in the world. 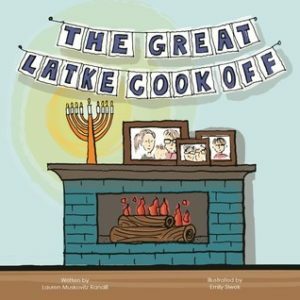 So I pulled up that old email, did a lot of Googling, and embarked on a 6-month sprint to turn “The Great Latke Cook Off” into a real book that you can have, hold, and enjoy with your family. The illustrations by Emily Siwek are charming. Can you tell me a bit about your collaboration? I found Emily’s work through Fifth Avenue Press, which is part of the Ann Arbor District Library. She wrote and illustrated a wonderful book called “A Monster on Main Street”, about the person who plays the violin in a wolf mask downtown. 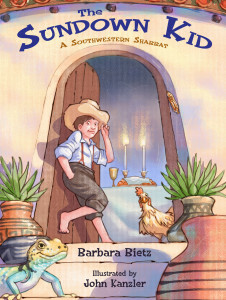 Her illustrations were so playful and I thought they would really help bring the story of “The Great Latke Cook Off” to life. I reached out to her through Facebook to see if she would be interested in doing some freelance work. We met for coffee to see if we might make a good team- it almost felt like a blind date. I gave her a copy of the manuscript and she said should get back to me with some initial ideas. A couple of days later she sent me some sketches. Without ever having seen pictures of my family she sketched an image of the Grandpa that looked exactly like my dad. I hired her on the spot. After that we started meeting every few weeks to work through the story page by page. It was a very easy collaboration and I’m so happy with the outcome. What are some of the unexpected things you learned on the road to publication? I didn’t realize that there is a huge community of self-published authors! I sort of assumed that almost everyone out there had a publisher, an agent, and a contract. I thought I would mostly be going it alone. But I have found wonderful connections through the Society of Children’s Book Writers and Illustrations, Facebook groups, and a very action Instagram community. I’ve really relied on these groups for their expertise- everyone is very willing to share their “lessons learned” and help each other out. It feels incredibly supportive. Do you have a latke cook off during Hanukkah with your family? Next → Next post: Hanukkah Hamster – Welcome Back, Michelle Markel!